Delivering customized odor and emission control solutions for every industry, start to finish. Odors and emissions from industrial facilities can strain relationships with neighbors and harm the environment. They can also impact site safety and put critical facility assets at risk. 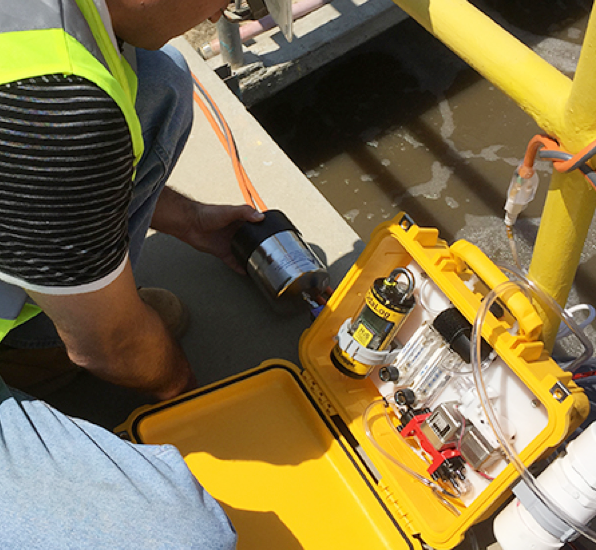 The BioAir Complete process begins when we send an experienced BioAir scientist to your site to conduct an evaluation. This expert is well-versed in the science of odors and emissions as well as the industrial processes that cause them. 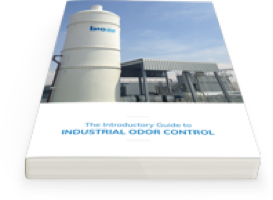 The evaluation identifies the odors or emissions produced by your facility as well as their points of origin, and analyzes how they disperse once released. Based on our analysis, we develop a solution customized to your site. There’s never a template for this. The treatment solutions we develop are as individual as the facilities and processes that emit odors. Your facility’s footprint, infrastructure and available resources all play a role in the solution we build. 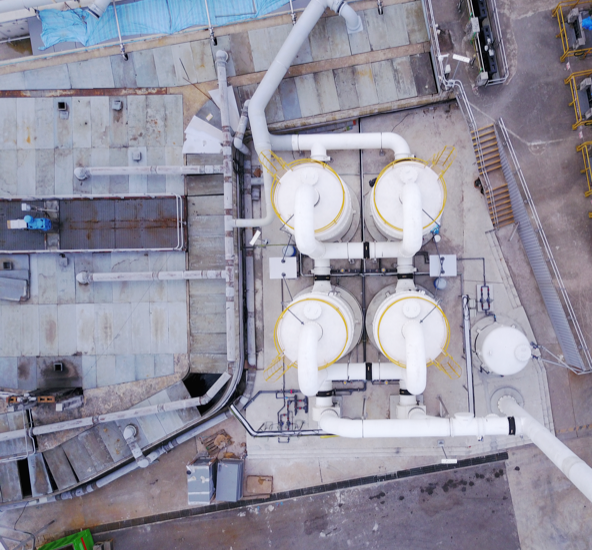 We’ll also design any modifications or additions to ventilation systems to ensure the emissions generated in your facility are collected and eliminated as fully, efficiently and inexpensively as possible. We often recommend installing our cutting-edge EcoFilter™ biotrickling filters for treatment, but we understand that individual circumstances require the flexibility offered by our full range of treatment solutions. 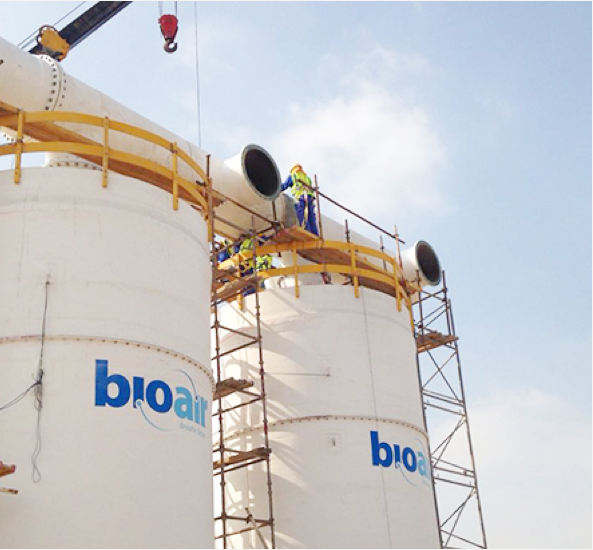 BioAir builds your treatment system essentially from scratch. No templates, no cheap mass production. We then bring the system to you, install it at your site and start it up. While we’re there, our team trains yours in the operation and maintenance of the equipment. Once your treatment system is started up, you’ll soon notice dissipating odors and reduced emissions. After a few weeks, we come back, this time to test your equipment to make sure it performs the way our design promised it would. If for some reason it isn’t meeting our expectations, we stick around to troubleshoot until it does. 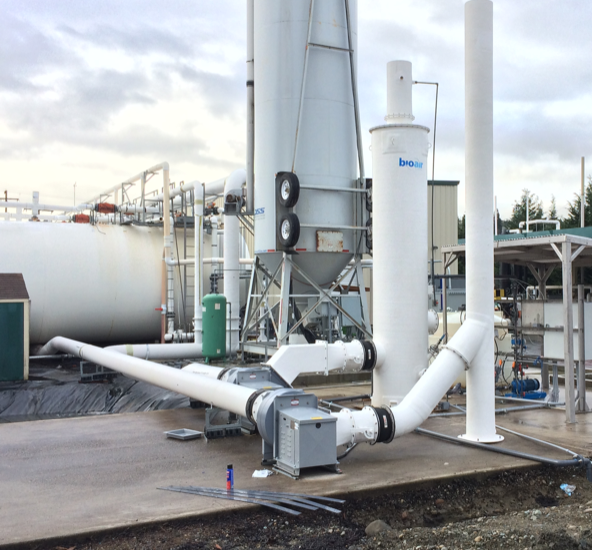 BioAir Solutions is about more than just building equipment that gets rid of odors and emissions. We build trust, guiding customers from site evaluation through startup to deliver treatment solutions grounded in industry research we’ve led.